Team Sports selected as product provider for Safe Zone Concept, utilizing shipping containers to create, multi-use Safe Rooms that utilize materials/systems that comply with FEMA 361 Standards. 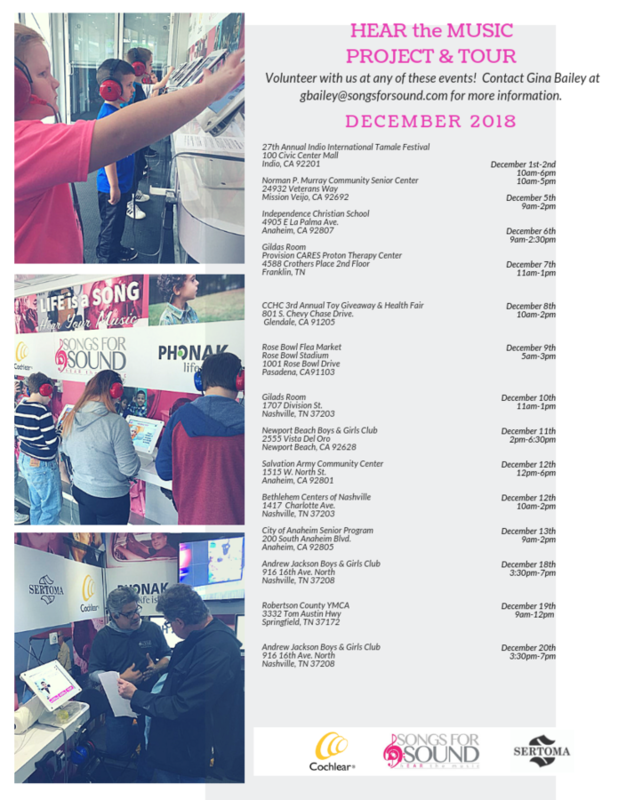 JACKSON, TN, January 11, 2018 /24-7PressRelease/ — Henson Construction Services of Jackson, Tennessee is known for large construction projects delivered on time and within budget. Henson Construction Services is the definition of reliability when it comes to government buildings, jails, and schools. Included in Henson’s resume are over $50 Million of School/Community Tornado Safe Room Projects. With such a credible reputation, the company has embarked on new construction innovations. Their latest project is the construction of five tornado safe rooms that are designed and built to withstand the impact of an EF-5 Tornado (250 mph winds). With such a prestigious project now completed, Team Sports Gift is proud to announce they were chosen as Henson Construction Services’ interior design elements and accents of choice for the tornado safe room project. Henson Construction Services, Inc./Envirosafe Solutions of America are the creators of the Safe Zone Concept, utilizing shipping containers to create, multi-use Safe Rooms that utilize materials/systems that comply with FEMA 361 Standards. Using FEMA 361 Guidelines as the basis for design, Henson Construction Services is creating varying themed rooms. 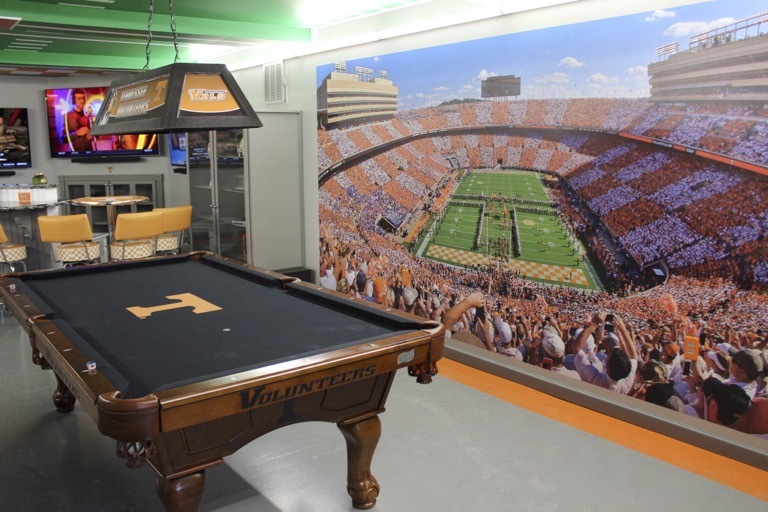 One such room is the Tennessee Volunteers Man Cave. A Tennessee licensed structural engineer provided stamped foundation design and structural connection details where modified shipping containers were attached. The Tennessee man cave is over 600 square feet, featuring an epoxy coating with Tennessee fields colors of Smoky Gray & Tennessee PMS 151 orange borders. The hand painted ceiling is a small version of Shields-Watkins Field complete with orange/white checkerboard end zones/green grass, a Power T at mid-field, hash marks & SEC Logos. Initial reviews are encouraging, and the five types of Tornado Safe Zone Models will be ready for public viewing late Spring 2018. To learn more about the Tennessee Volunteers Tornado Safe Room Project or other Safe Room options or to become a Certified Installer, contact Jimmy Henson at [email protected]. Cary Henson at [email protected]. or by calling 1-731-664-5858. To see Team Sports Gift products featured in Henson’s project, visit www.TeamSportsGift.com. Team Sports was built on a simple idea of giving every sports fan the opportunity to support and share the pride and spirit of their favorite team with a diverse selection of sports team accessories.